• Expand their knowledge and understanding of the local business community. 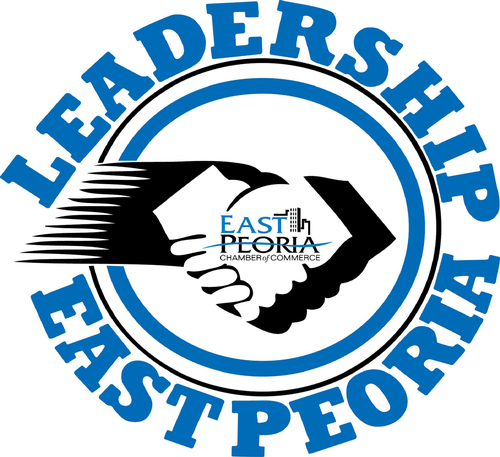 Participation guidelines: A participant will get the most of their leadership school experience by actively participating in each session. Participants will be required to attend class and work on a small-group project at scheduled times during and outside of class if needed. 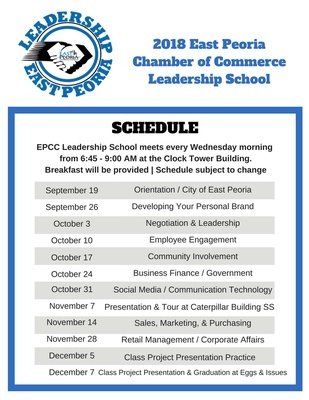 Visit www.epcc.org to enroll by September 14th or call Rick Swan at (309) 699 6212 for details. 6:45 a.m. - Continental breakfast. Includes drinks, continental breakfast and materials.